We have offered School Field Trips since Fall of 2002 with a program that allows the children to learn about farm life. It is a fun-filled, full 2-hour, learning experience. Our tours start, this year, on Sept 19th and end October 31st. We encourage teachers to book early to get their desired date. The calendar fills up quickly. Brochures will be sent to schools that have visited our farm the last 3 years. If you did not receive a brochure by Aug 12, 2016 feel free to call us....812-963-3175. Our policy is $120 minimum paid (20 students/parents) for a guided field trip. Groups of less than 20 are welcome as a self-guided field trip on Mondays for $5 per person. Our School Tour Educational Activities this year include: Old Mc Donald's Farm where the children find all the animals hidden in the corn maze and learn something new about each one they find. 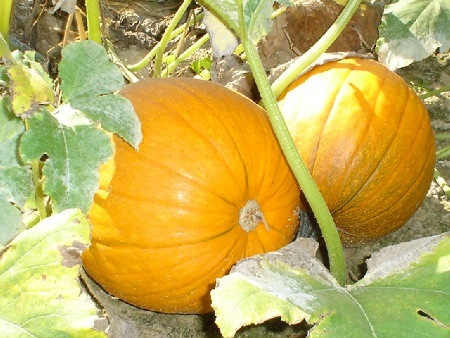 When the students pick their very own pumpkin from the pumpkin patch, they will learn the Life Cycle of the Pumpkin. We discuss the crops grown on our farm compared to other crops grown in our area. We also will discuss the difference between fruits and vegetables, irrigation & uses of corn. While on the wagon ride view any fall crops we have growing such as broccoli and cabbage and much more! At Mayse Farm Market, we strive to create fun, interactive activities and educational facts to complement your school curriculum which will provide a memorable and exciting learning experience for your students.